Sunny weather gets me thinking about picnics. 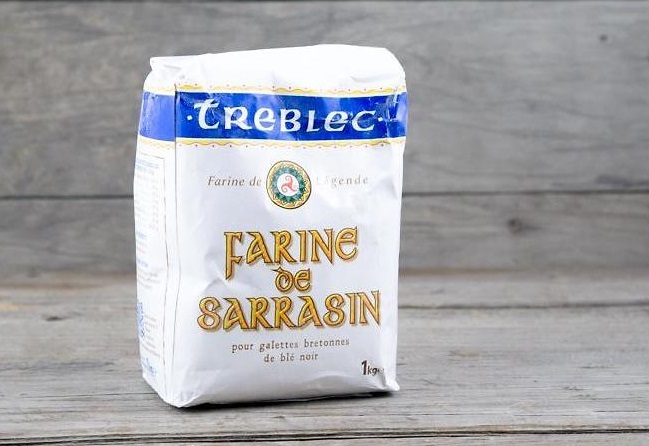 This week a pallet of French specialty groceries arrived, including delectable picnic foods. In Seattle, we have outstanding choices for dining outdoors at local parks, beaches, and scenic areas. 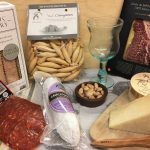 Stop in at Paris-Madrid Grocery to pick up some of our new arrivals (described below) and head outside! 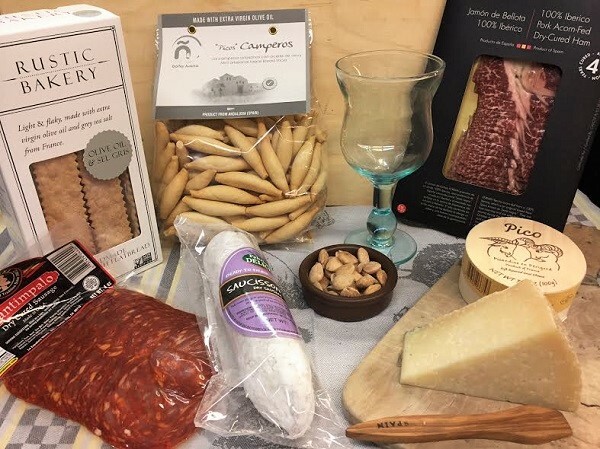 Délices du Luberon spreads: Founded by a busy Provençal mother who loved to cook, these tapenades and spreads are made in Provence with fresh, locally sourced produce and prepared naturally. There are no additives, colorings or preservatives. We’ve now got green and black tapenade, aioli, anchovy tapenade, sundried tomato spread and eggplant caviar on our shelves. These are easy picnic foods which can be simply eaten on French mini toasts. Or take it up a notch by tossing roasted vegetables with one of these tapenades for a flavor explosion! Jams and Honey: New to our shelves are Favols Fruitessence Jams, which are 100% fruit and no sugar added. Choose from Bitter Orange, Apricot or Wild Blackberry Fruitessence jams. Honey producer Abeille Diligente was established in 1890 by a family of beekeepers dedicated to quality and tradition and is now run by the fifth generation. Try the forest honey, honey with propolis or gorgeous violet honey candies. We’ve restocked Chestnut tree honey (floral and nutty, slow to crystallize) and tangy-flavored Heather honey from expert beekeeper and honey producer Yves Peltier, The Peltier honey palets (thick butter cookies) are also sensational! Pâtés: In addition to the fresh pâtés from our deli case, we’ve got small tins and jars of rillettes and confit from Hénaff and Rougié. Tuck a couple of these in the pantry and be ready to dine outdoors. Select from foie gras in cans, pork and duck pâté with 20% foie gras, pork pâté de campagne, duck rillettes, pork rillettes, pork liver pâté, and pork liver confit with Provence herbs. Seafood in tins and fish rillettes: Les Mouettes d’Arvor has been conserving top quality seafood in Brittany since 1959. With tins and jars of superbly flavored and extremely portable seafood products, Mouettes d’Arvor is best known for its mackerel in mustard sauce and incredible sardines. We carry a selection of mackerel and sardines in olive oil, mustard sauce or with herbs, and a variety of fish rillettes made with sardines or tuna. And, Officer smoked cod liver (the “foie gras of the poor”) is back in stock. Mustards & Cornichons: Pommery mustard from Meaux and large jars of Amora mustard (15 oz) are here. Mustard adds an incomparable flavor boost to sandwiches or vinaigrette. For a classic combination, serve one of these mustards with pâté alongside Maille or Vilux brand Cornichons. 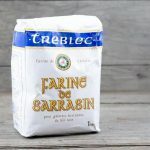 French Flour: We’ve now got Treblec buckwheat flour for making crépés and Francine brand all-purpose T45 wheat flour for making brioche. Cookies: We’ve restocked our French cookie selection, including St. Michel Galettes and Oui Love It gluten-free Madeleines. Triennes Rosé Provence, 2018 ($14.99) Jacques Seysses, founder of Domaine Dujac, and Aubert de Villaine, co-owner of Domaine de la Romanée-Conti are the partners behind this pioneering property in Provence. Over the years, they have transformed this stunning 46-hectare site into one of the top wine estates in Southern France. 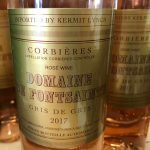 2018 Triennes Rosé is mostly Cinsault with some Syrah, Grenache and Merlot, aged in stainless steel. The grapes are picked at night when cool and fermented until dry. With aromas of berries and white flowers, it shows graceful harmony and elegance. Comes with a screwcap, making it so easy to close up tight and carry. 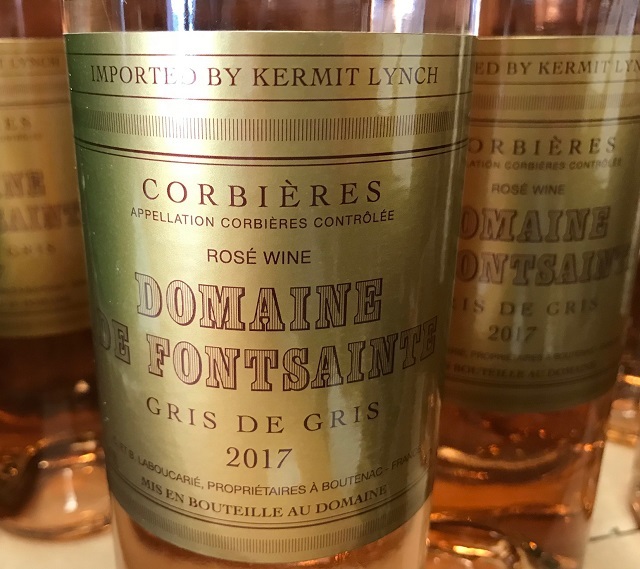 Domaine Fontsante Gris de Gris rosé 2018 Corbieres: ($16.99) 90% Grenache Gris, 5% each Mourvedre and Carignan. Made by the saignée method, the juice for this pink wine is bled off the tanks of red wine, then fermented without skin contact. Fontsainte Gris de Gris is feather-light on the palate, bursting with lively acidity and wild strawberry notes. Incredibly fresh and mineral-laden, this stellar pink defines refreshment. Bodegas Yuste Pedro 1 Vermut: ($27.99) Made from Palomino and Pedro Ximénez grapes, macerated with 41 botanicals including Wormwood, Gentian, Sambuca, Coriander, Quinine, and Centaurea highlight savory, bitter and floral elements. A spectacular red vermouth, it is the result of a treasured 19th-century family recipe and an idea that vermouth from the Sherry region should be a refined, world-class apéritif. Made with a dry Oloroso Sherry aged over ten years, married for a minimum of six months in casks previously containing Manzanilla which further develops the vermouth’s briny-bitter complexity. A few final drops of velvety Sanlúcar Pedro Ximénez perfectly round the corners. Nuanced, complex, with notes of baking spices, burnt caramel, cola, and a seemingly endless finish, this is a must for vermouth lovers!